Climate Refugees: No International Definition, Recognition Or Protections : Goats and Soda They're known as 'climate refugees.' But there's not even an international definition for them, let alone recognition or protection. 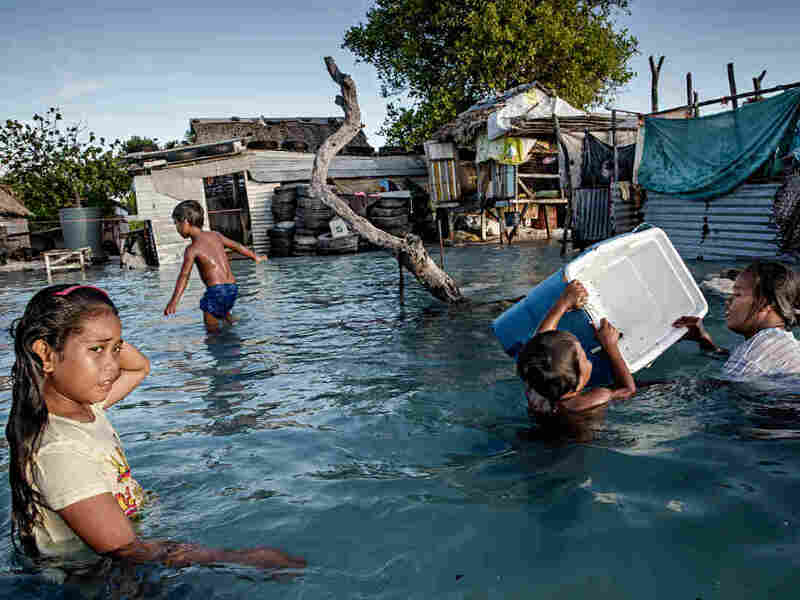 In Kiribati, an island republic in the Central Pacific, large parts of the village Eita (above) have succumbed to flooding from the sea.